Earthquake Prediction: 5.4R in Honshu Japan! A strong 5.4R earthquake was just reported by EMSC near the East Coast of Honshu, Japan! Spot on coordinates according to this post. 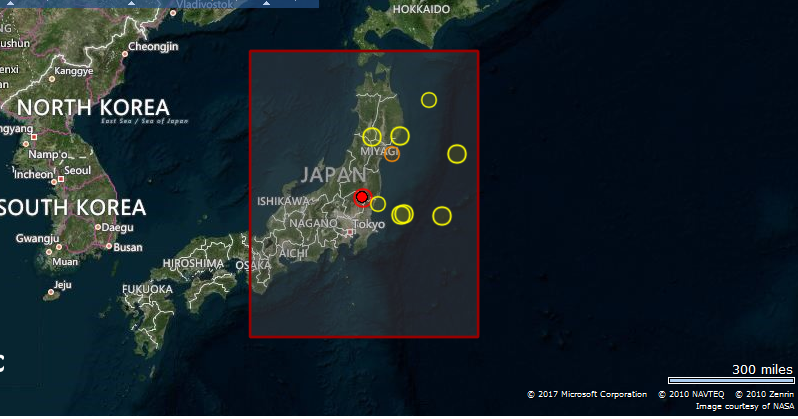 [Japan (37.3N, 141.4E)] Dangerous situation as they start to move westwards and more inland. We will keep an eye. See also the OLR animation as we suspected something was going to give in there.